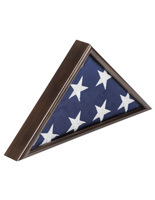 Honor those who have served with this respectful cherry flag case. 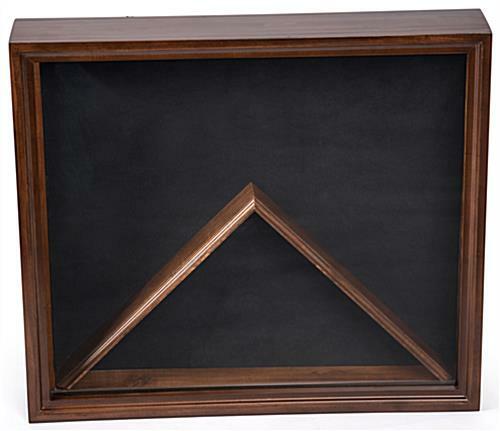 The cabinet features solid wood construction with a cherry stained finish. The front is glass. 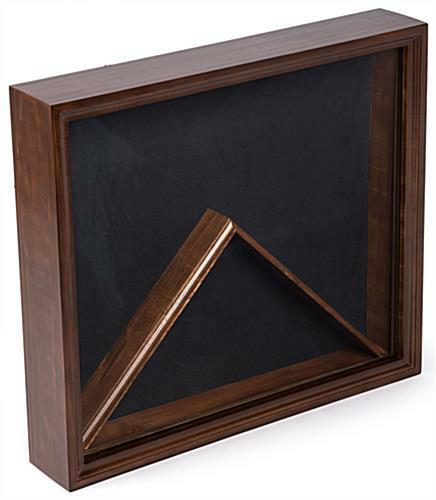 The triangular section is sized to fit standard government-issued 5' x 9.5' American flags. 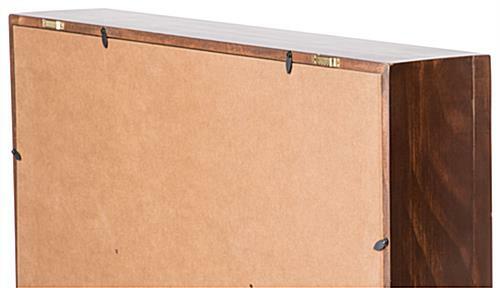 To access the interior, our cherry flag case has a removable rear panel. 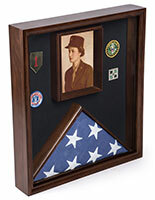 Attach medals and/or insignias to the black velvet backing with the included mounting tape. 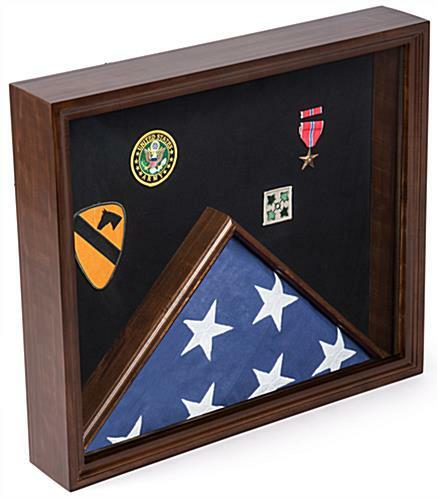 The cabinet will keep your military mementos free from dust and dirt. Suitable for wall mount or mantle display. 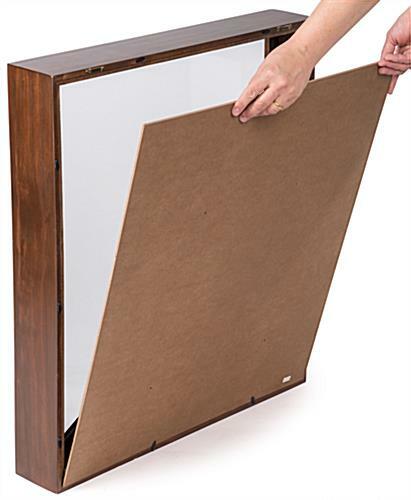 25.0" x 22.0" x 23.8"
22.3" x 23.3" x 3.0"